Earlier, the hotels used to serve 7-8 portions into their a-la-carte menu but today the portion size has reduced. 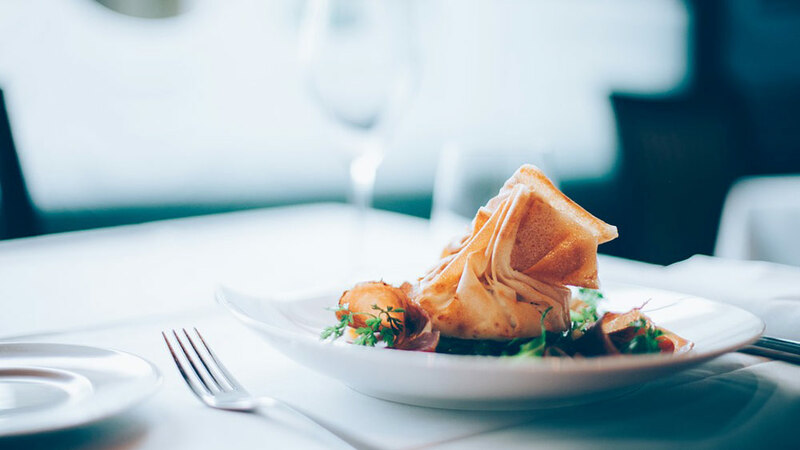 Innovation is no longer the purview of elite and forward thinking; if you are in restaurant business you need to be at the tip of innovation to be ahead of your competition. With people eating almost 4-5 times a week which has grown from 2-3 times earlier they demand innovation and newness into the dining scenario. In the newer formats the recipes are really experiential. But sometimes the customer feels cheated because there is not enough food being served on the table. Earlier, the hotels used to serve 7-8 portions into their a-la-carte menu but today the portion size has reduced to three to four and sometimes even two where people are crossing the line of what is a good portion size. “When you are setting up a table for four but the portion is coming only for three. It looks odd. People need to look into designing their menu and cost back in their menu. Definitely people do want to see smaller portion today. But the portion size has to be really right and not cheat,” shares Reynold Fernandes, CEO, Oriental Cuisines which is running close to 200 restaurants in the country. Commenting on the same, Nicolas Ge’ of Le Casse Croute says, “The menu implementation is something which needs to be taken care of. Customers should feel that the quality was good, portion was good and they have got their value for money because you need to get customer sustainability.” Restaurants really need to standardise that he customer should know about the portion, food and the quality beforehand. When you talk about the bigger pie of the market; quality is not the main challenge at some of the top restaurants in the country. The problem still lies with the service, skilled manpower and quantity. Chefs these days are working hard to stick to the best quality food and presentation. “The challenge is still on the service side. I don’t think the restaurant staff is sensitised enough to give the customer experience. And, the ones who are doing well have ensured that their staff is well trained and believes that the customer is the god and gives him the best of the services,” adds Sahil Jain, Co-Founder, Dineout where maximum consumer compliant comes on the rude waiter, rude service. Talking about the food, hygiene restaurateurs have become more and more conscious and that’s going up every day. Restaurants need to be very particular about their service and staff because people research about the restaurant before coming to them. They only go to a restaurant if they have a positive perspective about the brand and the business. If you have shared on Zomato or other such platforms that the meal for two would cost Rs 700 the customers should have their tummy full when they come out of the restaurant. That’s the difference between real and the cheat portion. The larger the organisation bringing in the change is difficult. But that’s the hunger people want to grow. You need to start accepting what you can do and what you can’t. Change will come with time and not drastically. “There is no point in innovation if you can’t manage consistency. There is no balance between the two. Innovation will always raise the game. You have moved to the next level and if you can’t be consistent don’t do it,” adds Fernandes who has some of the great concepts like Ente Keralam and Hot Breads. Hence, we can say that people do look for innovation and change at restaurants but then they should not feel cheated when it comes to getting the right food, service and quality. How Your Customer is Ordering Food..
Top 5 Trends in the Healthcare Industry..
Evolution of Beauty and Cosmetic Business..
4 Major Tattoo Trends of 2019..